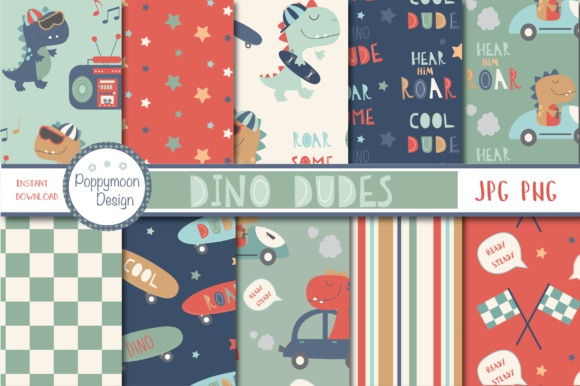 Dino dudes is a set of cute boy dinosaurs with skateboards, racing cars pattern paper pack. 10 coordinating papers, saved as file format PNG and JPG, paper sheet size 12″ x 12″. 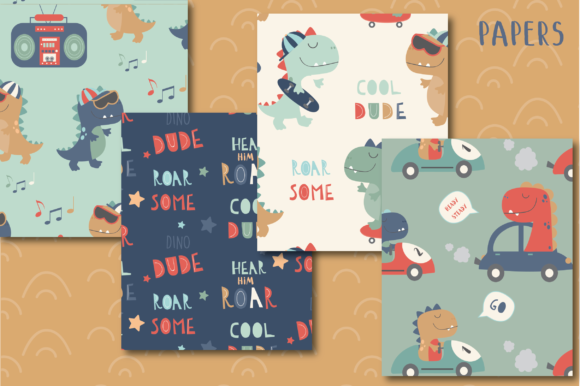 Perfect for party invites, greeting cards, and all your boy/dinosaur themed projects…. Coordinating Dino dudes clipart can be also purchased separate.